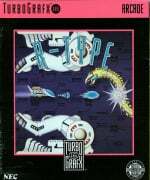 R-Type has been one of our firm favourites here at Nintendo Life for decades; we personally can't get enough of the 8-bit PC Engine and Sega Master System ports as well as the 16-bit outings Super R-Type and R-Type III. Given the title's impact on the shooter genre we therefore couldn't resist featuring this stunning piece of animation by Paul "Otaking77077" Johnson for the YouTube channel Mashed. The segment opens with a player berating Irem's 2D shooter for its "coin-munching" mechanics and old-school visuals (be warned, there's some bad language here) before getting sucked into the game for real. It's a lavish affair which follows the iconic opening level quite closely, right down to the enemy designs, bonus placement and music. 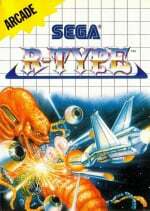 The only liberty taken is the introduction of a second player towards the end - something R-Type never had in its original arcade guise, but was added for the 2009 remake R-Type Dimensions. It's also worth keeping an eye out for some cool cameos at the start. What we'd give for another R-Type. Sadly, Irem has all but abandoned the video game arena and was last seen focusing its efforts on Pachinko machines. Sigh. Oh, and this is your second warning that the video contains some naughty words, so don't watch it in the office / at school / round your grandparent's house with the volume turned right up, ok? Horrible dialogue, bland script, and I'm not impressed with the animation. Saw this in EDGE a couple of months ago. Animator is really onto something with their process. Not sure how many worked on this but if it's one, it's very impressive. It has the look of expensive 90's anime. The dialogue and point of the video is perplexing though. Am I supposed to despise his snarky attitude? Is the game teaching him a lesson or just proving him right? It's sloppy and unsatisfying storytelling. 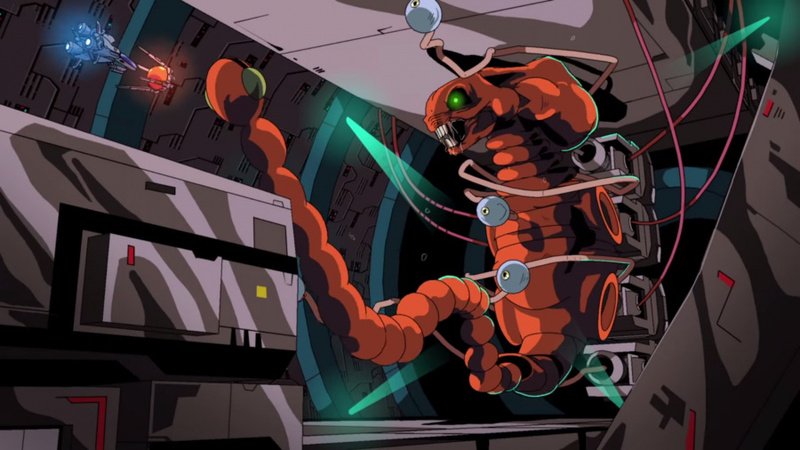 Overall, it's about the realization of the R-Type game as an anime-reality, though, and that part is great. Aww man Super R-Type is dope!! @ThanosReXXX Simple observation. Absolutely nothing in keeps its shape, which is the very basics of animation, and it seems everybody agrees with the dialogue and script being terrible, or at best non-existent. Kind of a waste of time, but I understand news being very slow lately. @Simbabbad More like opinion, which of course you have a right to, but it is nothing more than a fan made animation. It is not like this is made by some professional studio or something, so expectations and/or judgments should be applied accordingly, and yours is way too harsh. Irem provided me with endless hugs courtesy of Kung Fu Master. Lol if R-Type was released today people would call it a scam for being a game that can be beaten in less than a hour. It's not a good time for score based single player games. The last Starfox showed that. That was incredible! Very impressive that they used a late '80s anime style, too. Some of the one-liners sounded pretty forced, though, but overall not a bad effort in that respect. Nice to see new R-Type fan creations at all in a time where I've recently exposed someone to its existence through their PlayStation Now account. The strangest part of the whole video was that the characters automatically understood how to pilot a space fighter after only playing a video game simulation. Heh, That 1st X-men cartoon/Fox Kids Spiderman cartoon art direction. Goodness! I'm a sucker for that. As more of a Gradius fan.... This was awesome! I always thought that about the ball being in front of the pilot's vision in the game. @DarthNocturnal It is, isn't it? I think it's a nice tribute and also an interesting change to show the battle from the Dark Side perspective. And both videos just breathe 90's anime cool, even with some of the minor faults, but for a one-man job both are truly admirable efforts. Very impressive coming from a very small group of people. This is excellent! @Simbabbad The dialogue sounded pretty good to me. Are you one of those killjoys who considers all cheesiness to be a bad thing? I love shmups but have come to realize they're a bit frustrating. Too much going on at once, much like modern day FPS games. I can't keep up with too much going on all at once, so i die big time.